This chapter aims to demonstrate (i) the internalization of international human rights law by Brazil and (ii) the regional dialogues involving Brazil, in particular through an assessment of the relationship between Brazil and the Inter-American Court of Human Rights, updated as of January 2017. 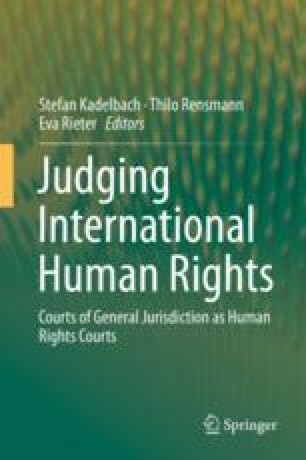 It assesses the novelties and particularities of international human rights in Brazil by describing its implementation through the executive, legislative, and judiciary branches, followed by an analysis of the dialogue between the Brazilian state and the inter-American human rights system. The chapter posits that the values of human rights have to be incorporated in all actions of the executive, legislative, and judiciary branches and cannot take second place, and that Brazil has to maintain its commitment to human rights even when there are international judicial decisions against the state.